Jay and Sparra look back on the defeat at Easter Road, consider whether our top six challenge is now over, discuss their aspirations for the remainder of the season and much more. With two (and a half) games to look back on, there was plenty to discuss when Sparra was joined by Busta, Jay and BBC Sport Scotland’s Scott Mullen. It’s magic you know? The ‘Well have won six in a row! 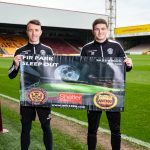 Sparra is joined by Jay and Joe McKelvie to look back on the win against Hearts, discuss the trip to Celtic Park, react to the news of James Scott signing a new deal at Fir Park, the potential departure of Stuart McKinstry and more. 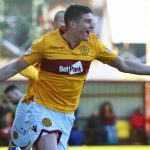 Following on from Motherwell securing their fifth successive league win, Sparra, Busta and Jay look back on the win at St Mirren, look to our next league fixture against Hearts, discuss interest for other club’s in Jake Hastie, Motherwell’s women’s side and much more. 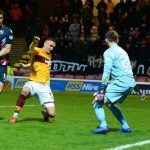 The lads look back on another good victory for Motherwell, discuss David Turnbull’s new deal at Fir Park, preview St Mirren, praise Stephen Robinson’s part in the much improved form, reflect on the business done during the transfer window and much more. Sparra is joined by Busta and Jay for a much more positive episode of the MFC Podcast. 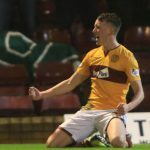 We look back on wins over Hibs and Dundee, discuss the end of the transfer window, David Turnbull, Maurice Ross’ appointment new head of 18s to 21s, look ahead to Livingston and more. 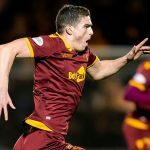 Sparra is joined by Busta and Jay to discuss Motherwell’s exit from the Scottish Cup, where it went wrong, Stephen Robinson’s post match interview, preview Hibs and much more. 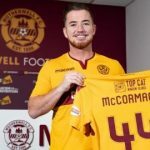 Sparra is joined by Busta and Jay to look back on the final fixtures of 2018, discuss the signing of Ross McCormack, reflect on 2018 and share their hopes for the new year at Fir Park.